How good does this bright, fresh spread look? 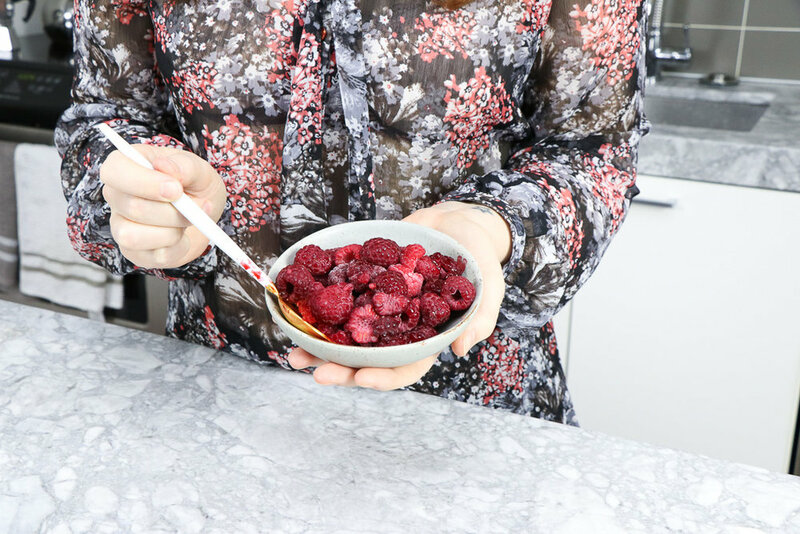 I welcomed Dalish Cosmetics' Melanie Cruickshank into my kitchen to make two smoothie recipes from The Beauty Chef's blog. Eating well and nourishing your body helps you not only feel good, but look great too. And this is a motto that Mel stands by with Dalish, which is a line of natural makeup products. Why would you put unpronounceable, toxic ingredients on your face, when everything you put on your body is absorbed into your skin? The Beauty Chef is a blog for nourishing your skin and health from the inside out, and Dalish's natural makeup products help you feel beautiful from the outside in, without any chemicals. It's an intersection made in heaven. These smoothie recipes were so simple and easy, and took no more than five minutes to put together (as all good smoothies should!). 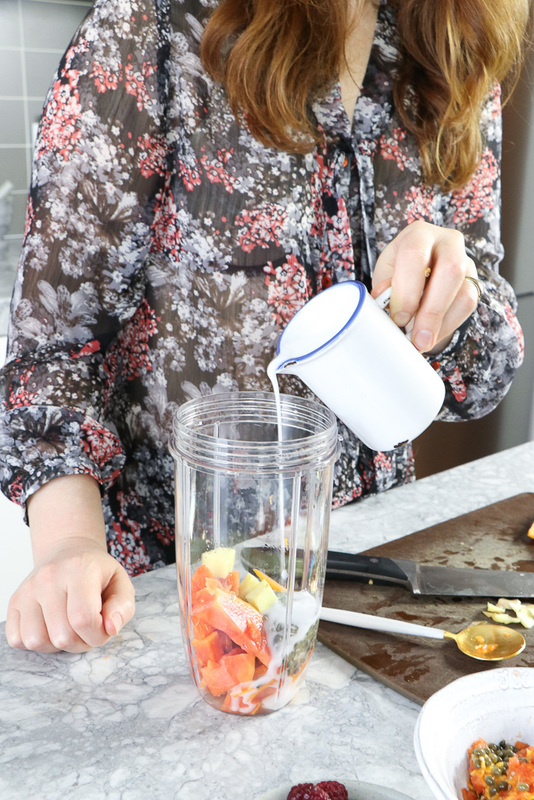 First we made the Papaya Ginger Coconut Smoothie, which contained exactly what it says in the title! Papaya is known to be excellent at aiding digestion, and ginger is a soothing ingredient for your stomach. It's great if you have an upset or acidic stomach, and I add it to my evening hot water with lemon on the regular. While I'm not a huge fan of passion fruit's texture, it was mellowed out in this smoothie once blended with all the other ingredients. Just look at this blast of colour! Perfect for a summery breakfast. 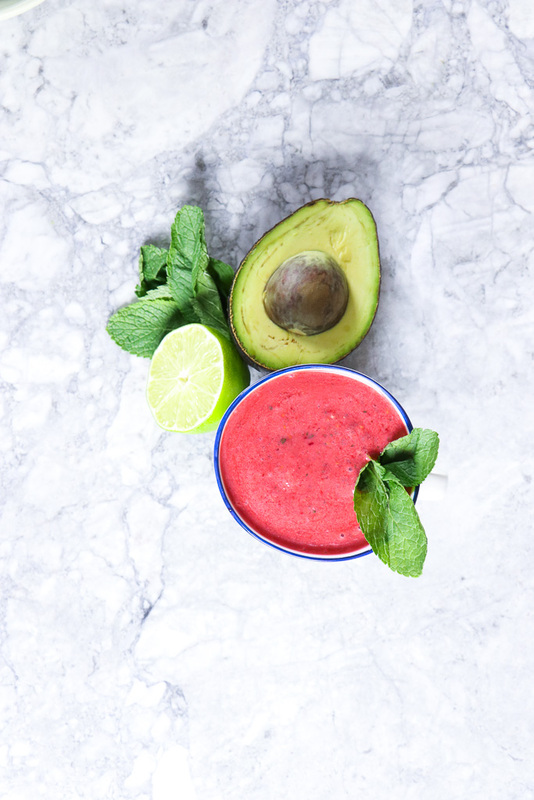 Next, we made the Raspberry, Avocado, and Mint Smoothie.It took no more than thirty seconds to add all the ingredients to a blender and pulse it up. Frozen raspberries gave it a nice smooth texture, like soft sorbet. This recipe called for a pinch of salt which we would leave out next time as it was almost amplified in the smoothie. This could be because we were using out of season fruits that were not as ripe as what The Beauty Chef likely gets in Australia; I would imagine the produce she has access to has a lot more natural flavor and potency. We also agreed we would add a dab of honey to indulge our sweet tooth next time around. But the flavors were crisp and refreshing, especially with the hit of mint. What are your favorite ingredients to add to a smoothie? Do you think about the health benefits of the ingredients (ex. if you have a sore stomach, do you add ginger?) or do you go by taste alone? 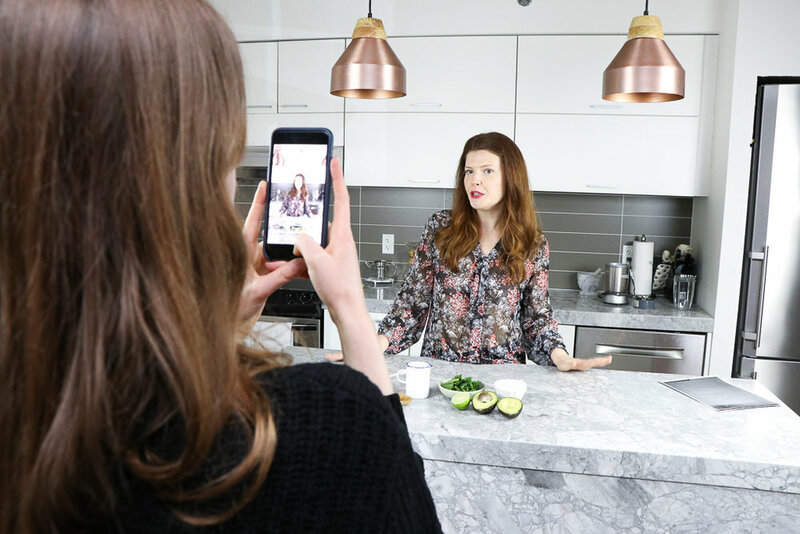 And do you record your recipes or do you prefer to wing it? Visit Dalish's Instagram today to watch as I take over their stories to share my morning routine. Happy blending!